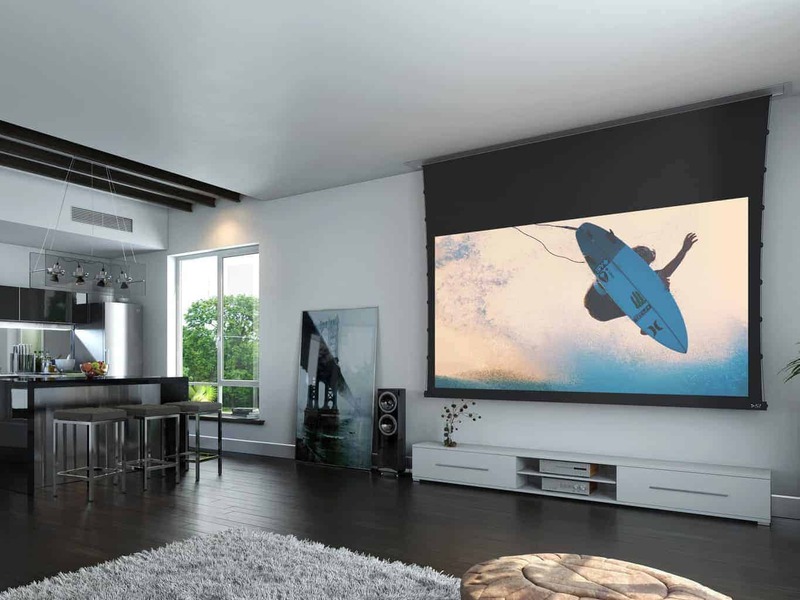 Die Screen Innovations Motorized FL ist eine hochwertige Deckeneinbauleinwand. 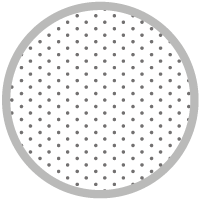 Wählen Sie zwischen 9 verschiedenen Tüchern, zwei unterschiedliche Formate und passen Sie den Vorlauf so an wie Sie die Leinwand benötigen (auch akustisch perforation möglich). Eine perfekte Leinwand zu finden für seinen Raumbedürfnisse war nie einfacher. Als Motorized EX auch in als externes Gehäuse verfügbar. Standardmäßig kommt die Leinwand mit einen Wandschalter, 12 Volt Trigger Anschluss und einer IR Fernbedienung + Control Box. 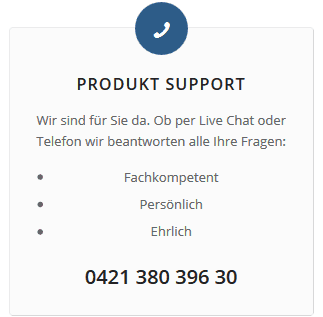 Auf Wunsch kann die Leinwand zusätzlich mit RS232/485 Control Box & Kabel und / oder RF Receiver & Fernbedienung ausgeliefert werden. Screen Innovations Motorized FL – The workhorse of motorized. The 5 Series Motorized series from SI was built from the ground up to include the features our customers requested most often. All 5 Series screens include dependable Somfy motors, switches, and controls—the worldwide leader in motorization. The motor limits are simple to set up and operate with all included controls—Wall Switch, IR Receiving Eye, IR Remote Control, and Low Voltage Trigger. All 5 Series Motorized screens are precision cut on computer-driven fabric tables, enabling all screens to be cut with ease and repeatability. 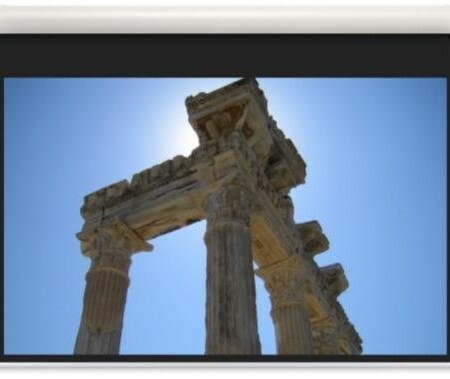 Custom sizes and drops are not a problem, and the screen is available in four different viewing orientations (e.g. Reverse Roll, Reverse View, etc.) at no extra charge. A new tab system limits traditional repeat marks found on most screens. Motorized FL SLATE® 1.2 Slate® replaces the need to settle for a substandard screen in a family room setting, by rejecting 65% of the room’s ambient light compared to less than 10% of ambient light rejection with a white or gray screen. 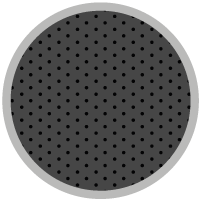 Motorized FL SLATE® .8 The second flavor of our award winning Slate® material, Slate® .8 is black in color but reflects all colors of the spectrum while also able to go massive in size. SLATE® AT 1.2 The best image and the best sound with the lights on. SLATE® AT .8 The best image and the best sound with the lights on. MAESTRO Put your speakers where they should go (behind the screen) not where they have to go with Maestro White. PURE® GRAY Pure® Gray, like its brother Pure® White also features SI’s nine (9) times finer and smoother texture than standard screen materials for un-matched resolution and picture clarity but in a darker color which improves black levels. PURE® WHITE AT The best image and best sound for light controlled environments. PURE® GRAY AT The best image and best sound for light controlled environments. FOR THOSE WHO LIKE TO BE DIFFERENT. 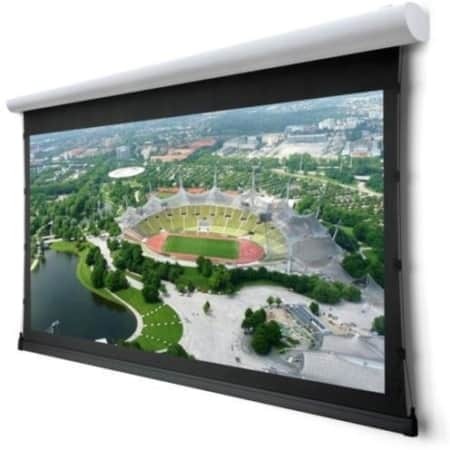 Our 5 Series Motorized projection screen is 100% custom and can be up to 200″ diagonal. Custom sizes, aspect ratios, and materials are welcome. 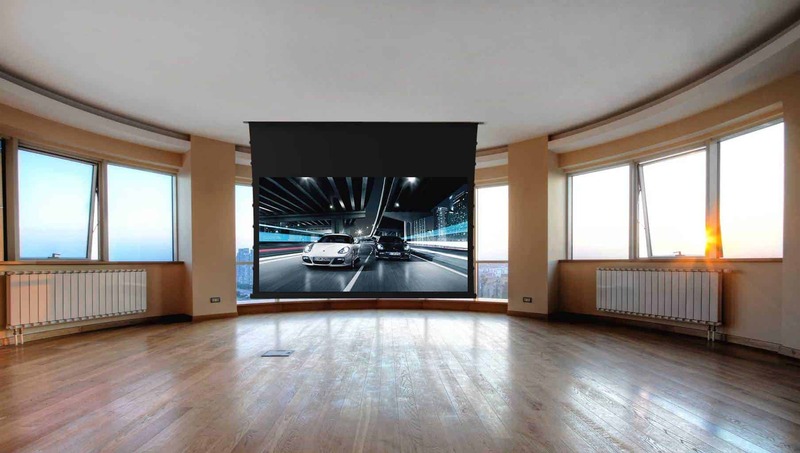 5 Series Motorized offers all of our new 8k and 4K screen materials including the latest in acoustically transparent and rear projection screen technology. 5 Series Motorized is available as an external self-contained unit. This gives you the versatility to mount your screen where you see fit. 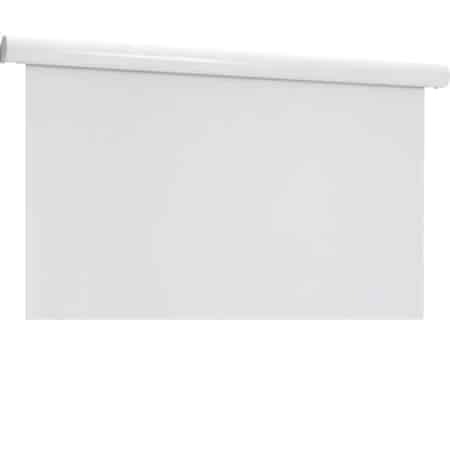 This is especially useful in difficult mounting situations such as spanning the gap in the corner of a room where no ceiling mount would be available. 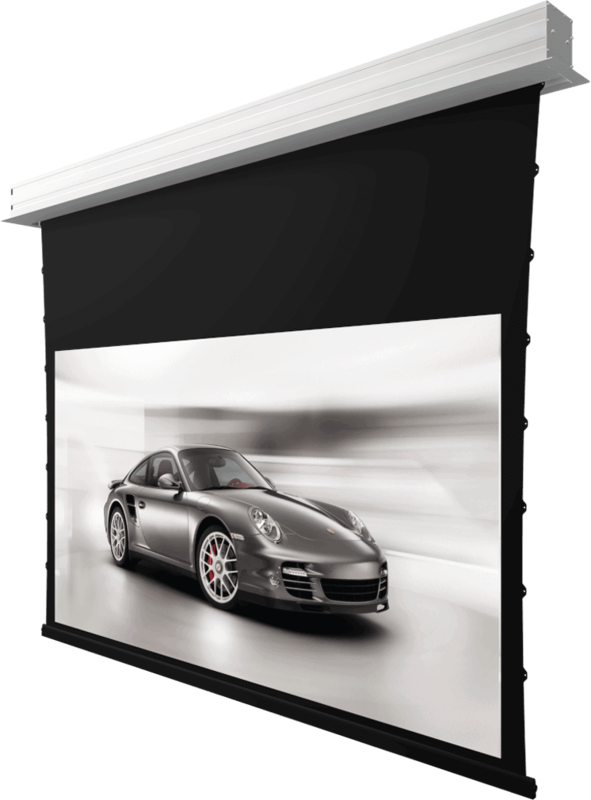 The external unit is available in black or white with a curved front fascia. 5 Series Motorized is also available in a flush mount mail slot system allowing the screen to completely disappear into the ceiling. This is especially useful for environments like a living room where you want the screen to completely disappear when not in use. You can’t have a high quality product that’s made up of low quality parts. When we set out to design a product, we make sure that all of the bits and pieces that make it up are the highest standard possible – including the motor. 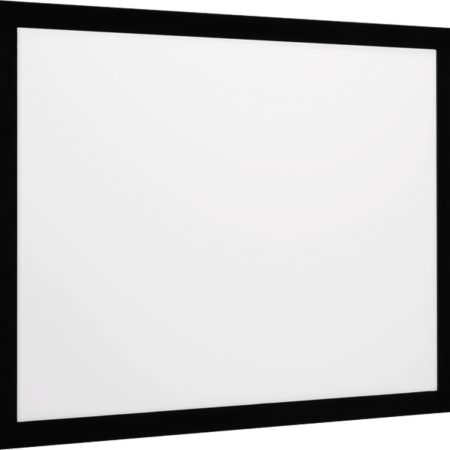 We now include the latest Somfy quiet-motor technology in all of our 5 series motorized screens. Who wants to disturb their environment with loud clunky buzzing sounds? With our motorized screens, and Somfy motors, you can rest assured that your environment will remain as undisturbed as possible.